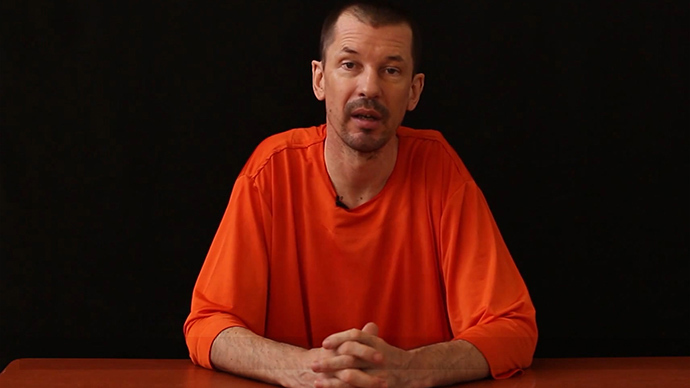 Islamic State terrorists have released a new video featuring kidnapped photojournalist John Cantlie, who talks of "accepting his fate" as he criticizes a failed rescue attempt by US forces and Western unwillingness to negotiate. “On July 4, Independence Day, the Americans did try to get us out of prison. Not by negotiation or prisoner exchange but by an incredibly complex, risky and expensive rescue attempt that failed,” he says, outlining the operation. 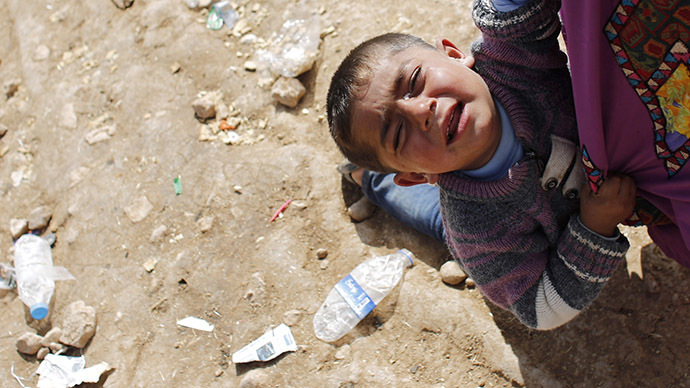 The photojournalist now appears much more downtrodden than before. 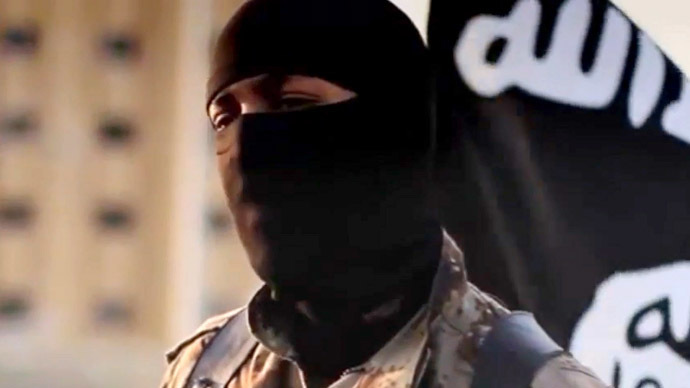 Wearing orange fatigues, as previous Islamic State (IS, formerly known as ISIS/ISIL) prisoners, the 43-year-old talks for almost nine minutes about how the lives of Western prisoners in the Middle East are a “gamble" to their leaders, who are the real culprits behind his situation – not his captors. 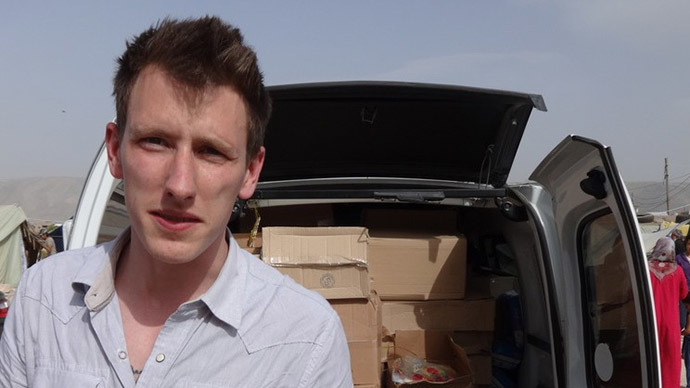 His ordeal also follows that of fellow ISIS hostages, journalists James Foley and Steven Sotloff, and three aid workers, all murdered by IS. 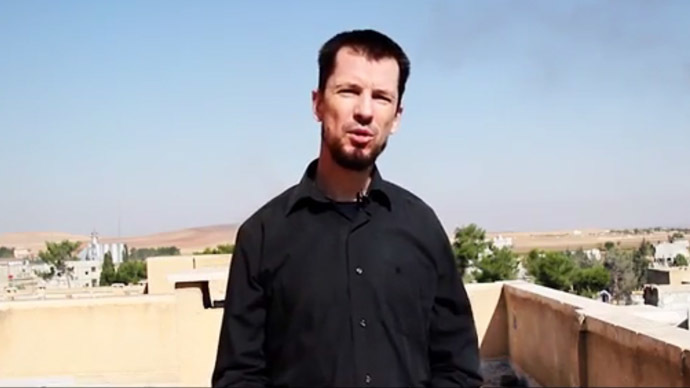 “It took weeks of rehearsals and must have cost tens of millions to perform - but we weren't there,” Cantlie continues, adding that all it took for Islamic State to avert the attack was to move all the prisoners to a different location days in advance. 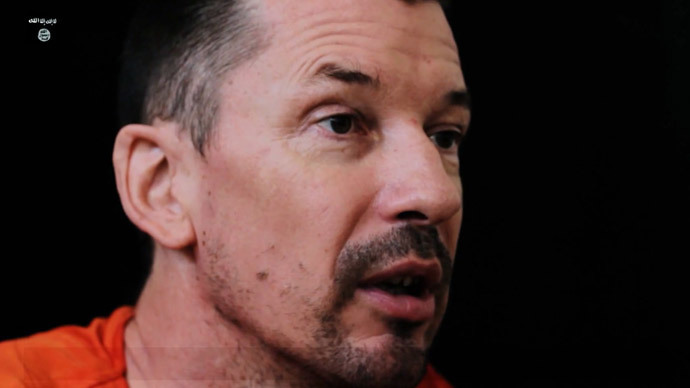 Cantlie is thought to be referring to an operation authorized by the US president – a nighttime effort in Raqqa the details of which were released in August. “I will continue to speak out against this military action … for as long as the mujahedeen allow me to live,” he says at the end.